Soltis, D., P. Soltis, P. Endress, M. W. Chase, S. Manchester, W. Judd, L. Majure, and E. Mavrodiev. 2018. 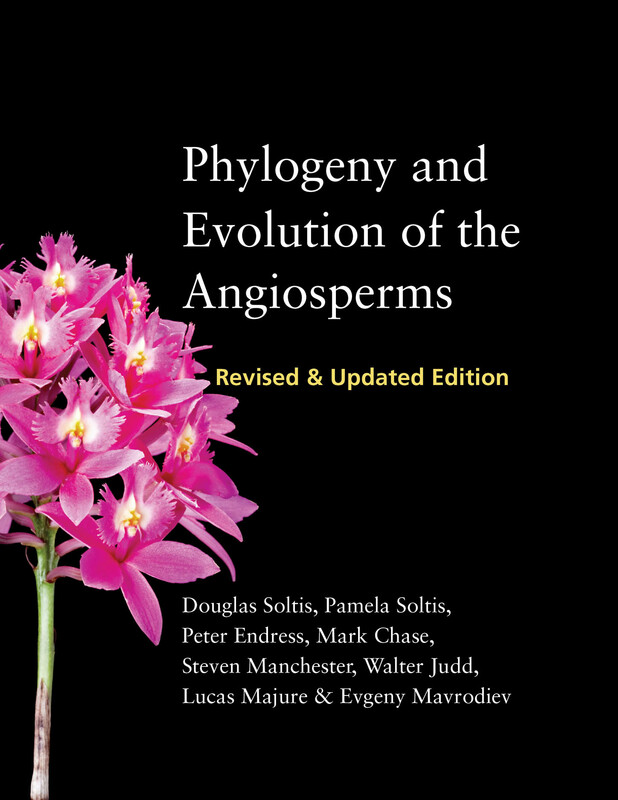 Phylogeny and Evolution of the Angiosperms: Revised and Updated Edition. University of Chicago Press. Ellwood, E. R., P. Kimberly, R. Guralnick, P. Flemons, K. Love, S. Ellis, J. M. Allen, J. H. Best, R. Carter, S. Chagnoux, R. Costello, M. W. Denslow, B. A. Dunckel, M. M. Ferriter, E. E. Gilbert, C. Goforth, Q. Groom, E. R. Krimmel, R. LaFrance, J. L. Martinec, A. N. Miller, J. Minnaert-Grote, T. Nash, P. Oboyski, D. L. Paul, K. D. Pearson, N. D. Pentcheff, M. A. Roberts, C. E. Seltzer, P. S. Soltis, R. Stephens, P. W. Sweeney, M. von Konrat, A. Wall, R. Wetzer, C. Zimmerman, and A. R. Mast. 2018. Worldwide Engagement for Digitizing Biocollections (WeDigBio): The Biocollections Community’s Citizen-Science Space on the Calendar. BioScience, doi: 10.1093/biosci/bix143.